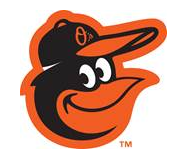 (Sarasota, FL) Baltimore Orioles fans will once again be able to enjoy a week filled with once-in-a-lifetime opportunities at the club’s 2019 Dream Week, from January 27-February 2, 2019 in Sarasota, Florida. Open to adults, regardless of ability, Dream Week provides fans with an opportunity to play at the Orioles’ year-round baseball facilities in Sarasota at Ed Smith Stadium and the Buck O’Neil Baseball Complex. Dream Week offers participants the full major league treatment — playing daily doubleheader intra-squad games and receiving instruction from National Baseball Hall of Famer and Orioles Legend Jim Palmer and former Orioles Al Bumbry, Rick Dempsey, Mike Devereaux, Chris Hoiles, Scott McGregor, Gregg and many more. In addition to on-field play, participants will enjoy beachfront accommodations on Lido Key; a personalized home uniform, alternate jersey, and cap; a personalized clubhouse locker; access to Orioles athletic trainers and clubhouse staff; daily breakfast and lunch at the ballpark; evening social events throughout the week, including a Q&A and autograph session with the pros; and a reunion game at Oriole Park at Camden Yards in Baltimore during the 2019 regular season. In addition to receiving daily instruction, participants will play doubleheader games each day at the Buck O’Neil Baseball Complex at Twin Lakes Park, and each team will get to play a game at Ed Smith Stadium. Special events throughout the week will include an Opening Night Reception, mid-week barbecue at Ed Smith Stadium, and a Closing Night Awards Banquet. Campers can look back on their unforgettable Dream Week moments with team and pro staff photos, a personalized baseball card, and a Dream Week video produced by the Orioles’ award-winning video productions staff. During the 2019 season, there will also be a Reunion Game at Oriole Park at Camden Yards for campers to reconnect with their Dream Week teammates. Men and women age 30 or older are eligible to participate in Dream Week. All skill and ability levels are welcome to the camp each year, and campers can play in as many or as few of the games as they wish. There is no prerequisite of experience or physical ability required to attend. Dream Week costs $4,601 (including Florida Sales Tax) and includes roundtrip airfare from Baltimore to Tampa, ground transfers to and from the airport to the hotel, transportation to and from the hotel to the ballpark each day, and six-night, seven-day hotel accommodations (double occupancy, private rooms are available for an additional charge) at the Lido Beach Resort Hotel. Breakfast and lunch each day at the ballpark is included in the cost, as well. Discounts are available to Orioles Season Plan Members and former Dream Week participants. Separate week and weekend packages are available for Dream Week guests. Fans interested in participating in Dream Week should visit www.orioles.com/dreamweek, call 410-547-6063, or e-mail dreamweek@orioles.com to register or to receive more information.